Gazing balls can really make a garden pop, but I’ve struggled with finding a mirrored glass gazing ball that I really like. And there is always the concern of the dog knocking it over and breaking it by accident. Then one day I was in the dollar store and saw all these bags of flat glass pebbles that are used as vase filler. Maybe I can’t exactly gaze at my reflection in them, but they would look great glued onto a Smoothfoam ball! Creating these DIY gazing balls was really very easy and they’re much more affordable than traditional mirrored glass gazing balls. 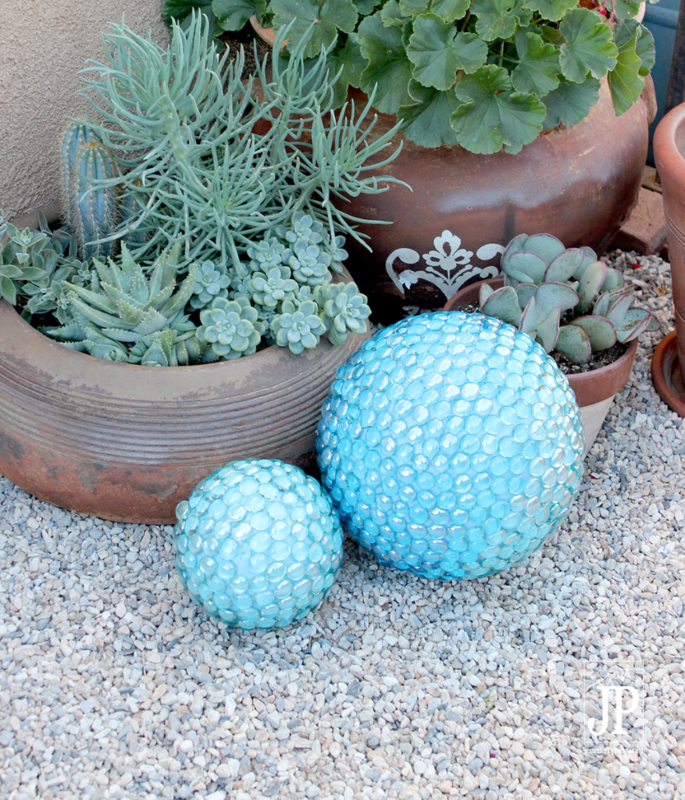 Flat glass pebbles/marbles are available in multiple colors in most craft stores too, so you can make decorative garden balls that accent your garden with whatever color you like. You can even create a mosaic style pattern using multiple colors of marbles. I laid these balls at the base of some flowers pots on my gravel side yard patio but you can put them in pots, arrange them in flower beds, and more. The larger the ball is, the heavier it will be due to the weight of the glass marbles. It’s best to bring them inside during inclement weather. 1. Paint the Smoothfoam balls to match the color of the marbles. The marbles are still see-through, even when tinted with color, so the paint color will show through them. Allow the paint to dry thoroughly. 2. Apply glue to the flat side of each marble and press them to the ball, one by one, until the ball is covered. 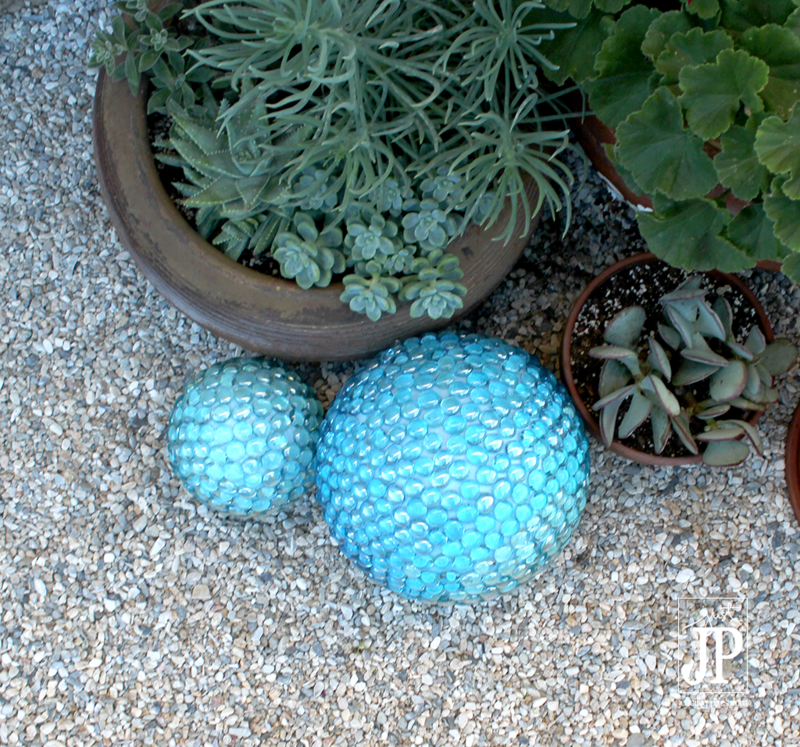 This entry was posted in Home Décor Crafts and tagged Ball, Blue, Garden, Tabletop by Jennifer Priest. Bookmark the permalink.